MICHAEL A. VENTRELLA: Today, I am honored to be interviewing Hugo award winning author Peter Beagle. I emailed some questions to him and was thrilled when he took some time from his busy schedule to send me back a voice recording of his answers! 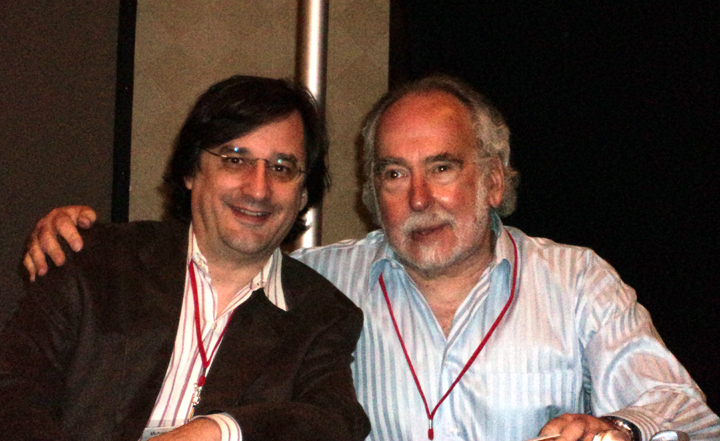 Peter Beagle is probably best known for his novel and screenplay of THE LAST UNICORN. 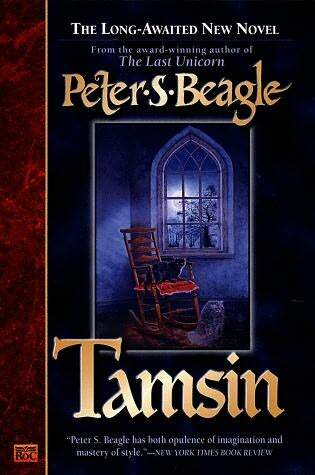 His other acclaimed novels include A FINE AND PRIVATE PLACE, TAMSIN, and THE INNKEEPER’S SONG. He also has a number of short story collections and nonfiction works to his name. Besides THE LAST UNICORN screenplay, he has also written the screenplays for Ralph Bakshi’s animated The Lord of the Rings and the episode “Sarek” for Star Trek: The Next Generation. Mr. Beagle, THE LAST UNICORN was made into an animated film back in the days when maybe we’d get two animated features a year. How did that arrangement come about? 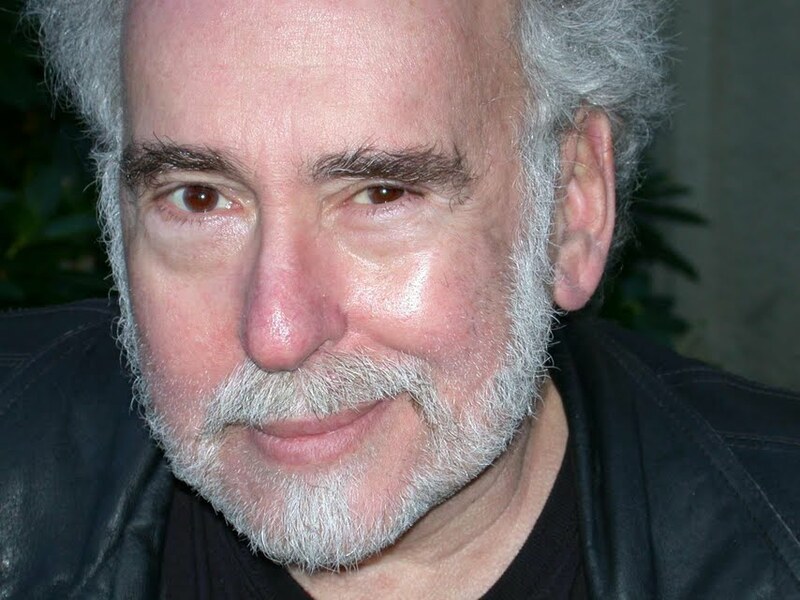 PETER BEAGLE: It came about because a red-headed rascal named Michael Chase Walker not only optioned the book from me but eventually — and this doesn’t often happen with options — eventually paid the purchase price to buy the rights to the book and then turned around desperately looking for a deal to make believing that somebody would want to make this book into a movie. He ran through a lot of people back then before he finally got Rankin and Bass to fall in love with it. VENTRELLA: Were you happy with the results artistically? 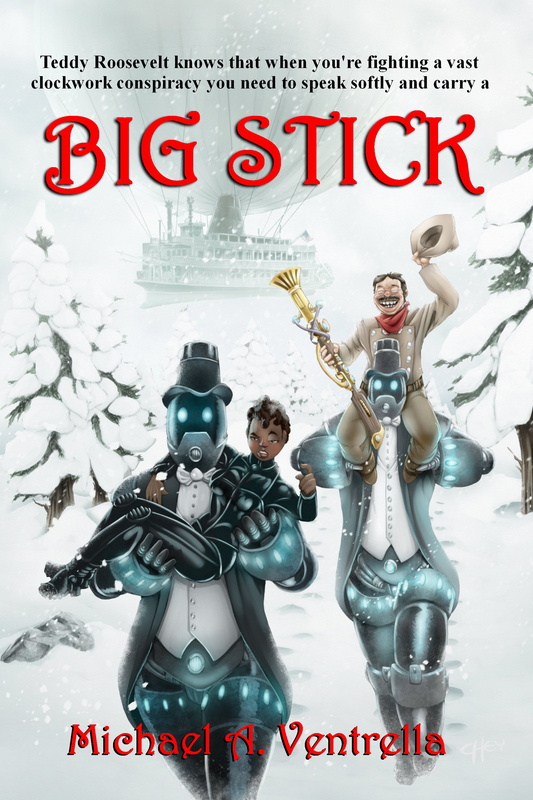 VENTRELLA: How did the “lost” version of that book come about? BEAGLE: Well, I started the book when I was twenty three. That summer I was sharing a cabin in the Berkshires in Massachusetts with my closest friend from childhood who was a painter, and still is. I began writing a story — just a story about a unicorn going somewhere with a companion who I couldn’t see, because he was out all day working on an enormous landscape. He’d make his lunch and then pack the landscape on the back of his motor scooter and I wouldn’t see him all day, and I wanted to show him that I had been working on something all day and not just fooling around in the warm sun or playing with the guitar. So I tried several stories that summer, and none of them seemed to work. 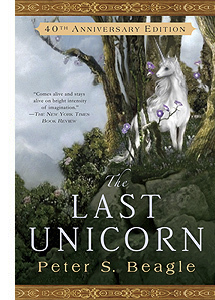 And then I found myself writing this story about a unicorn traveling somewhere in search of her people. It was almost completely different from THE LAST UNICORN that people know. I got about 85 pages done that summer and then simply hit the wall. I didn’t know what I was doing — well, I didn’t know what I was doing writing the whole book anyway — but I really didn’t know where this should go and I just dropped it. I put it aside, about 85 pages in, and wrote another book, nonfiction, about crossing the country with the same friend on a couple of motorscooters. And then the mother of my children gently nagged me to get back to it. She’d read the original version and wanted to know what comes next. And I threw out — or thought I had thrown out (my mother kept everything, thank goodness) — I threw out everything but the first couple of pages from the earlier version and started over. What is out as the “lost version” was printed and will be republished is basically that first 85 pages. A reader would recognize certain things at the beginning and be absolutely baffled by a whole lot else. VENTRELLA: Do you prefer screenplays to novels? 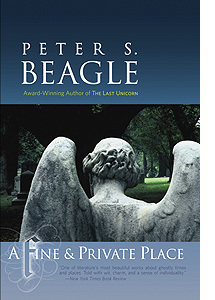 BEAGLE: Fiction is more fun — writing books in general is more fun — but screenplays pay better. VENTRELLA: You are the Guest of Honor at Philcon this year. (I’m just a regular guest, but I’m hoping to maybe be on at least one panel with you!). Do you enjoy conventions and do you advise authors to attend them? BEAGLE: When I pull into a convention, I always imagine myself and my business manager as a couple of peddlers coming to town with their cart and their mule, setting up shop by the roadside, and selling out of the wagon. There are extra elements to a convention. There are people I only meet there — there are friends I make at conventions that I never see during the rest of the year — and generally, I’ve had very good experiences. Some have touched me very deeply. And there are people I look forward to seeing when I know I am going to be in that town and I know they’ll be coming. But I never advise a writer to do too much of it. I didn’t do conventions at all for years, and I’m trying to cut down, because one is supposed to be home working and it’s not simply the time, it’s the energy. You only have so much and it usually takes me a couple of days to get charged up again after a convention. At a convention, you’re running on adrenaline, and that’s not the same thing. BEAGLE: I’m trying seriously to at least cut down on the elder goddesses, cats, and music, as well as shapeshifters. Gotta watch it with the shapeshifters, they’ll turn up in my work. I’m doing pretty well with most of them but you have to watch the cats. Every time you take your eye off a cat, it shows up in your story. BEAGLE: Well, I read far less fantasy and science fiction than you might think. I read a lot of history because my father was a history teacher and I have a taste for it. I’m getting back to reading poetry — I got scared off in college, which happens to a lot of people. And I have favorite writers whose books I’ll pounce on. Right now, I’m reading a novel I missed by John le Carre. I like mysteries very much and le Carre has an extra dimension, an extra depth that most mystery writers don’t have. In fantasy, I look for books by old friends like Patricia McKillip and Robin McKinley and Patrick Rothfuss — I’m still waiting for his second book to come out. And I re-read a lot. I re-read books I haven’t read in years that I just want to see again, like visiting an old friend. I re-read George McDonald Fraser’s FLASHMAN novels. Flashman is an absolute scoundrel. There is nothing to be said for Flashman. It’s a rat’s eye view of 19th century English European history. There’s something just inspiring about Flashman’s badness because at least he never pretends he is anything other than what he really is! You can’t ask more from a character. BEAGLE: The biggest mistake — it’s not even a mistake, but something I wish an author had told me: Don’t get too mad at yourself when you do it wrong. Just do it again. Because that’s most of it, just doing it again, learning by doing it wrong. The thing I always tell people who want to write is that you have to show up for work. Most people haven’t got the patience. The talent doesn’t have anything to do with it. I know a lot of people with as much or more talent than I have … But I will sit there, even when nothing is coming. Anybody can write when the stuff is flowing. But I’ll sit there until, as Red Smith, the great sportswriter said, “I’ll stare at the blank screen or page until little drops of blood start to come out of my forehead.” That’s how you know you’re writing. He wasn’t scolding me. He wasn’t coming down on me or anything like that; he was very gentle. But he taught me a thing about what is professional and honorable. What you can do and what you can’t, even if you need the money. Charles Jackson had principles. I make jokes about having no principles of my own because I can’t afford them, but when I do come up against a principle, I know what it is. I’ve usually got ten seconds to make a decision. I hate it, but I think of Charles Jackson. He was gay, by the way, which he didn’t go into, and he did write a novel after that — again, this was in the 1950s — from the point of view of a gay man. He’s long dead. If anyone reads anything of his, it’s probably for a film class that included THE LOST WEEKEND. But he was a good guy and I’ve never forgotten him. The biggest mistake an aspiring author makes is thinking either that nothing you write is any good or that everything you write is good, and neither one is true. The biggest mistake is listening to too many people and also — and this I talk about a lot — confusing writing with publishing. It’s not the same thing at all. Publishing is a business. Publishing involves making someone else some money and maybe a little bit for yourself. Writing, storytelling, art — that’s another matter. I’m not being romantic about it; there’s just not a lot of connection between the two. There’s a saying that an artist is someone who can’t not be an artist, and that’s really what matters. If you can’t do without being an artist, then it really doesn’t matter if it doesn’t sell. You don’t burn the manuscript, for heaven’s sake, you find a place for it … The only publication that would touch my story “Lila the Werewolf” back in the 1960s was a college magazine at UC Santa Cruz. Later on, it got picked up, but I just wanted it published.